I cleaned the the throttle body due to a P2135 code. After cleaning and reinstalling, the P2135 code is gone, but now it idles at 3,000 rpm. Efforts to reset the TPS have not worked. I have let the engine idle for three minutes, sat for one minute, then ran another three minutes. It still idles at 3,000 rpm. What could be the issue? Are you sure the throttle plate is closing all the way? Remove the inlet hose to the throttle body and move the plate by hand and be sure it is smooth and closes all the way. I do have a K&N cold air intake on it if that helps. That is always a problem. K/N air filters contain oil and contaminate the sensors causing issues. Dealers will suspend all warranties if a car is presented with this filter installed. That is how bad it is. Do you have a scan tool to monitor the throttle plate percentage? Yes. It s consistently at 32-33% even at 3000 rpm idle. The cold air intake has been on the truck for over 150,000 miles. Then you need to start back at the TPS and be sure it is set correctly. It should be.5 to.75 at idle and at 4.8 volts at wide open throttle. Okay, I ll check that. Here s what it typically does: I start It cold, it idles fine around 700-800 rpm's. I tap the gas to see if it ll come back down and it spikes To 3,000 rpm. I have a brand new throttle body with sensor that I installed to try to eliminate the TPS all together, it does the exact same thing. High rev at idle, throws the P0507 code. I ve reset the ECM to try to fix the issue. I m at a loss. I attached a flow chart for you to view. Did you use a new throttle body or used? 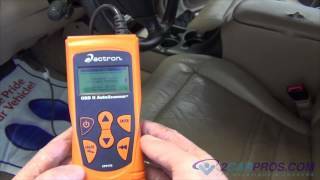 Perform the Diagnostic Repair Verification (See: A L L Diagnostic Trouble Codes ( DTC ) Verification Tests Diagnostic Repair Verification) after completing the diagnostic procedure. I tried a brand new OEM throttle body and got the same results. Put the old one back on since nothing changed. 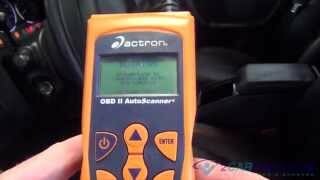 Okay, you need a scan tool to monitor the voltage with the throttle closed and open.